Unequal access to career opportunities remains an all too common problem for many Americans, and factors such as workplace bias can often overshadow an individual’s true qualifications and potential. While much progress has been made over the years through antidiscrimination laws and other far-ranging efforts at improving equal employment opportunities, many job seekers still face barriers based on their race, gender, age, sexual orientation, citizenship or immigration status, and more. For instance, ​in a matched-resumé field study​ the American Society on Ageing found that 40% of employers were more likely to interview a female candidate if the graduation date on the applicant’s resumé indicated that the applicant was younger rather than older​. Organizations across the country are​ working in unique ways to bring an equity lens—one that acknowledges and addresses the legacies and systems that have disenfranchised various groups—to the job market, and to help members of these communities get a fair shot at career opportunities. A group of ​Community Progress Makers, as identified and supported by the Citi Foundation, is ensuring that companies have access to a diverse and talented pool of employees. By working in innovative ways to provide job training and support networks to those with the least access, they are helping change the demographics of the modern workforce to make it more reflective of the growing diversity of America, where census data ​projects​ people of color will make up the majority of the population in 2045. They are also helping employers who increasingly are recognizing that a diverse workforce—which drives economic growth, fosters a more creative and innovative approach to work and helps businesses avoid high-employee turnover—is essential to remain competitive in today’s globalized world. Breaking the cycle of dead-end jobs. Photo by Gabriela Bhaskar. 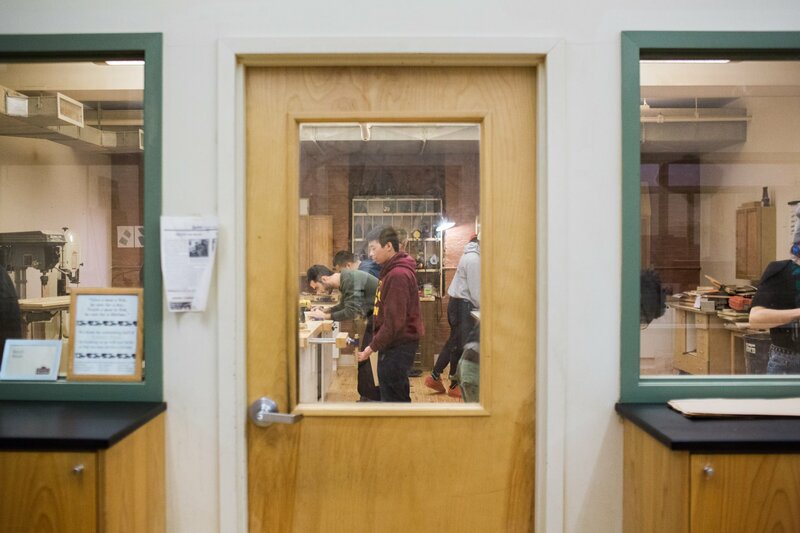 Brooklyn Workforce Innovations (BWI), a Community Progress Maker based in New York City, aims to help those living in poverty find higher-paying jobs with opportunities for advancement, thus breaking the cycle of dead-end jobs. 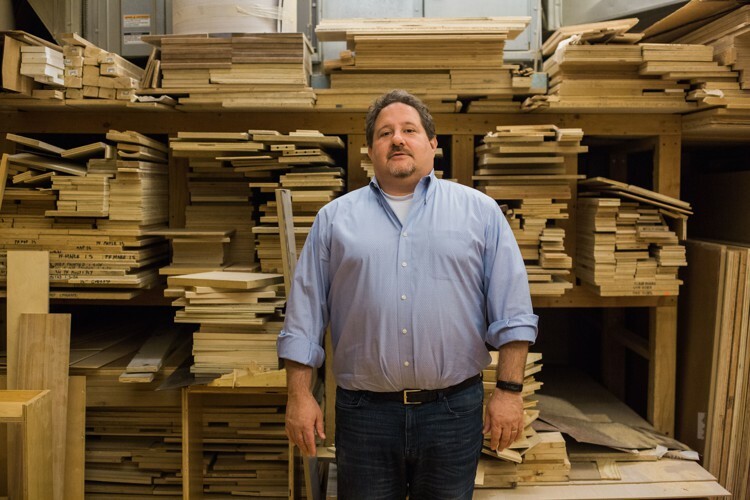 BWI has training programs in several fields, including commercial driving, film and television production, telecommunications infrastructure, and woodworking, fabrication and furniture assembly. According to Executive Director ​Aaron Shiffman, the organization’s different career training programs combat existing inequalities, especially those around race and gender. “Hiring managers have a tendency to select candidates who look or act similar to their current staff, which can create environments less rich with diversity and more hostile to difference,” said Shiffman. By growing the organization through sector-based initiatives, BWI is able to adapt to opportunities in the job market that offer points of entry for people without significant work experience. Shiffman said financial support provided by the Citi Foundation’s Community Progress Makers Fund gives the organization the flexibility to become even more hyperlocal and responsive to opportunities to make sure that as economic development expands across New York City, so do workforce development and employment opportunities for local residents. Brooklyn Workforce Innovations’ Executive Director Aaron Shiffman. Photo by Gabriela Bhaskar. It’s not just New York City where tech jobs are proliferating. Across the country there are hundreds of thousands of unfilled, high-paying tech jobs. ​As jobs in IT continue to grow, so do the opportunities for employment, even as the gap between the computer literate and illiterate widens. The fact is that millions of Americans don’t have the computer skills necessary to even undertake the training needed to qualify for these positions. Even young “digital natives” who grow up using smartphones and apps don’t necessarily know how to fill out an online application or use Microsoft Office, let alone get credentialed in specialized software. Byte Back Executive Director Elizabeth Lindsey in Washington, D.C. Photo by Gabriela Bhaskar. 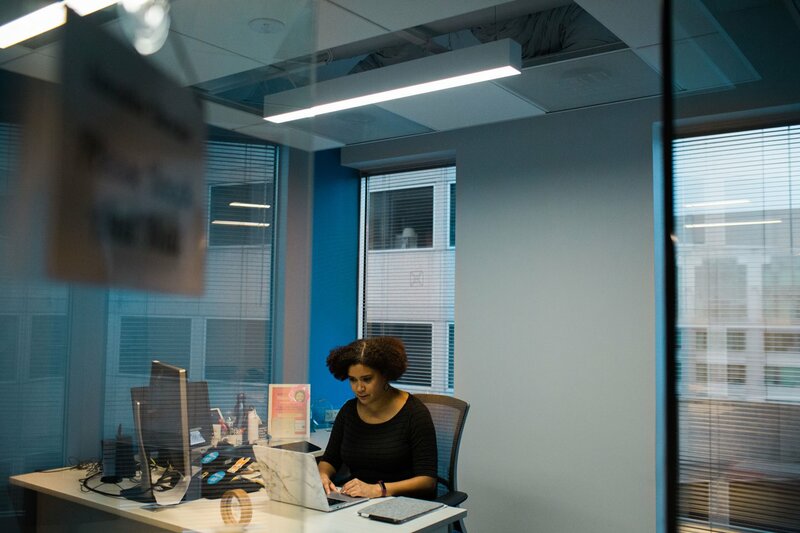 A D.C.-based Community Progress Maker called Byte Back is addressing underrepresentation in the tech sector head on by training women, people of color, and people with disabilities. The organization believes that, for many people from underserved communities, gaining these basic technology skills is often the first step to success in the current job market. It is one of the only organizations in the country where clients can start from zero basic computer training and move up to IT training and into a career. Many of Byte Back’s students are in their 40s and 50s, which can be a major disadvantage in the tech sector, where younger workers with college degrees are often preferred. Unlike many organizations prioritizing hiring young workers, Byte Back doesn’t treat age as a barrier. Breaking down barriers for under-represented communities in tech. Photo by Gabriela Bhaskar. 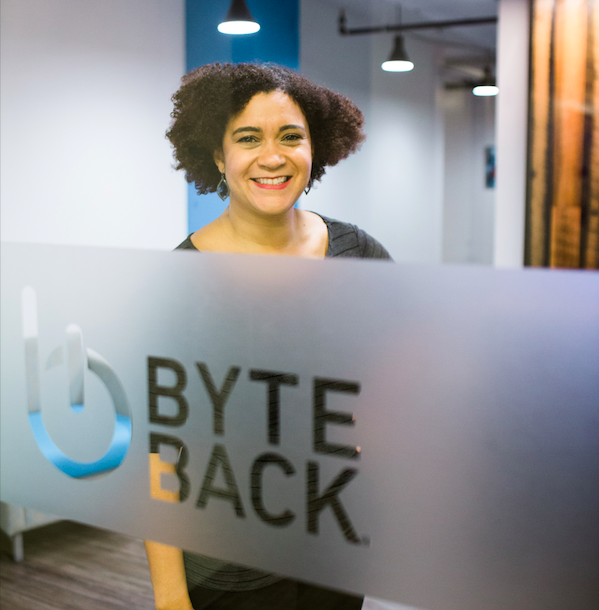 Byte Back creates pathways to economic opportunity by providing tech training and career preparation to underserved Washington, D.C., metro area residents. Lindsey’s team is focused on helping students with no tech skills move into living-wage careers by learning tech basics that can be leveraged in the fields of IT and cyber security. Byte Back believes that diversifying the tech industry can be a sustainable, progressive solution to poverty. Lindsey said many of Byte Back’s students have only worked in jobs like security or retail, where there is not much room for advancement. 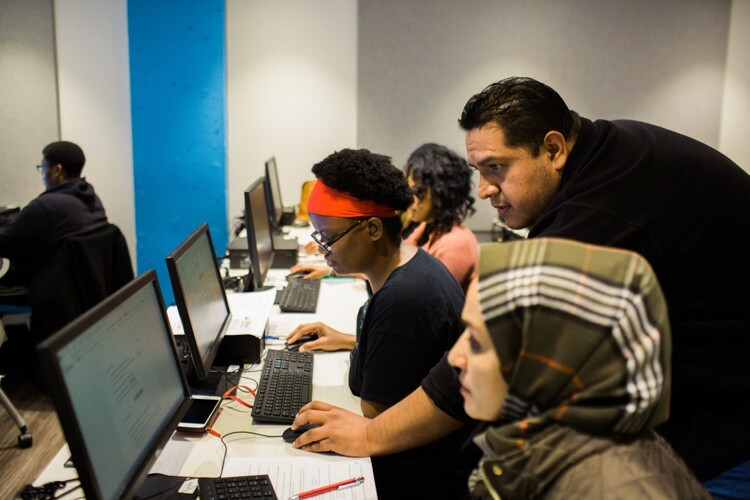 By helping move their students into tech-oriented careers, Byte Back provides not just training, but also critical support to help build participants’ confidence in their ability to join the workforce and succeed. “Imagine what poverty in this country would look like if people on the other side of the digital divide were given the opportunity to have living-wage careers in tech. There are diverse people who have enormous untapped potential, who can change their lives and our economy. 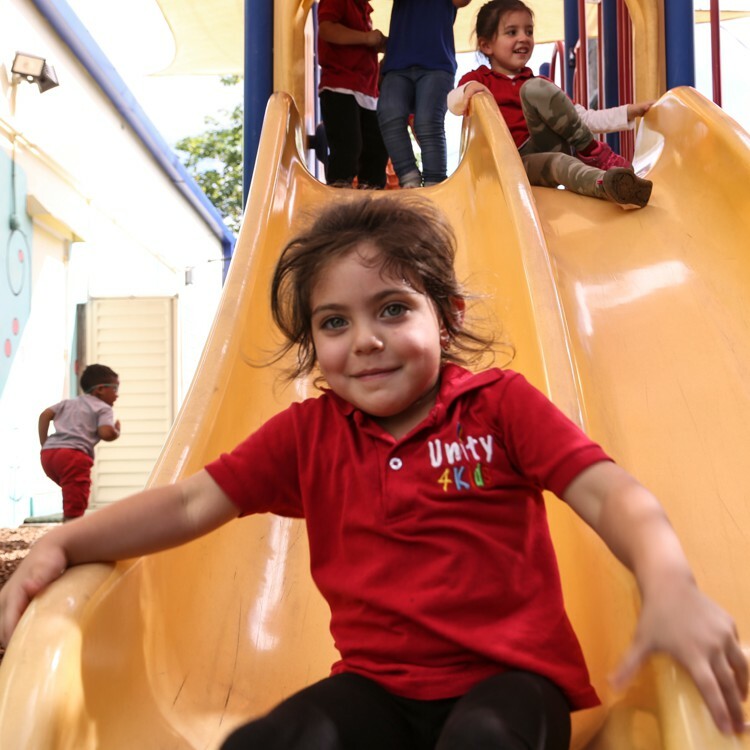 I believe they deserve a chance: to learn for free, to have a living-wage career, to have the skills and access that equity demands.” —Elizabeth Lindsey, Executive Director, Byte Back. Helping immigrant families and refugees find roads to employment. Photo by Ellis Rua. 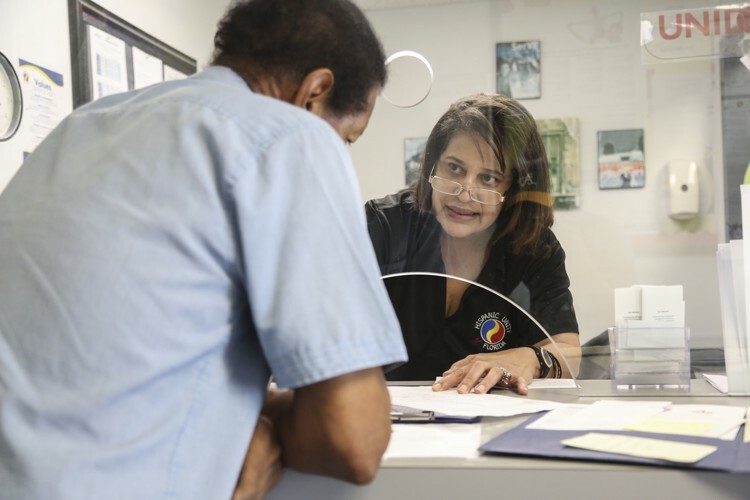 The Hispanic Unity of Florida (HUF), which has been working for over three decades to help immigrants find careers, knows that immigrants and refugees face some of the highest obstacles to employment out there. HUF’s mission is to empower immigrant families to become self-sufficient, productive, and civically engaged. HUF understands that Hispanic men, in particular, face ​a number of barriers​ along the lines of age, labor force experience, education levels, and English language abilities. However, as baby boomers head into retirement, immigrants and their children will be key in filling the gap in the country’s working age population. To best enable that transition, HUF works with immigrants on vocational training, overcoming​ communication barriers, and acquiring the key training certifications they need to build a new life from scratch in a new country. Actively connecting the Hispanic community with meaningful employment. Photo by Ellis Rua. To that end, HUF’s program customizes vocational training programs in customer service, sales, and patient care within the health industry, offering new pathways and training opportunities for immigrant families. Much like the tech industry, the health industry is experiencing rapid growth and employment demand. As a Community Progress Maker, HUF will help establish a new career pathways model with a local college to train clients in health-sector skills. Historically focused on early childhood education, Chicago Commons works with children and parents in an effort to break the cycles of poverty and discrimination. 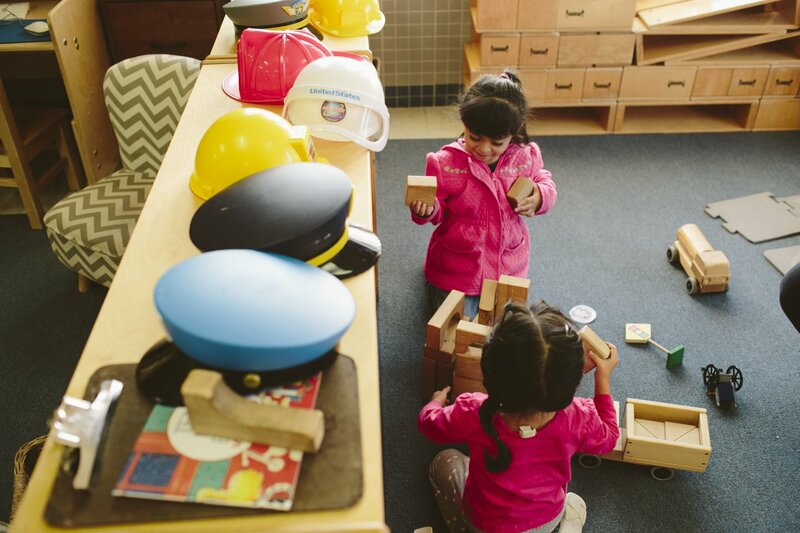 For over 120 years, Chicago Commons has provided high-quality early childhood education that embraces a premier learning philosophy of high-touch, tactile learning. Over the decades, the team recognized that for their students to succeed in the long term, the parents had to succeed in the present. To best enable that, Chicago Commons now promotes a two-generation learning model, delivering family-centered adult education and senior services to roughly 3,000 people a year. 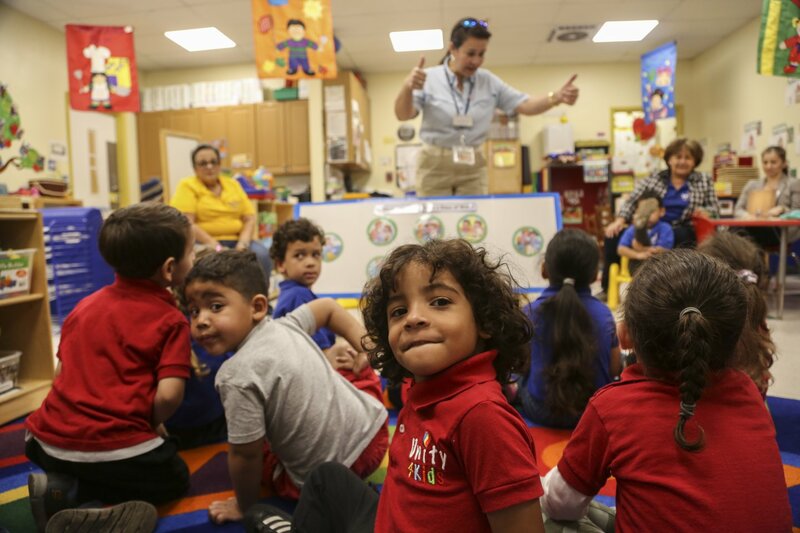 Early childhood education provides pathways for both parents and students. Photo by Kristen Norman. Numbering around 800,000, Hispanics now make up nearly a third of Chicago’s population. Even as their presence in the city grows, ​demographic data​ shows they still lag in key areas such as job training and economic opportunities. In a paper titled ​“Lost Einsteins,”​ Harvard scholar Raj Chetty examines social mobility in the U.S., and argues that poverty and inequality have the ability to impact intergenerational mobility, gender gaps in opportunity, and even life expectancy. In fact, he says, the “American dream” is in better shape in Canada. By providing early education for children and career-track opportunities for parents, Chicago Commons is helping families in low-income and marginalized communities get onto more equal footing with affluent communities where these building blocks are often taken for granted. 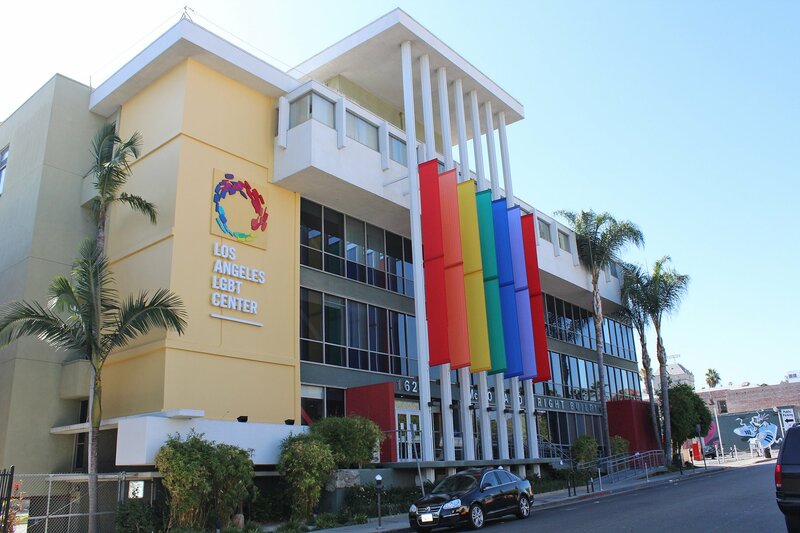 Fifty years and counting at the Los Angeles LGBT Center. Photo by Los Angeles LGBT Center. 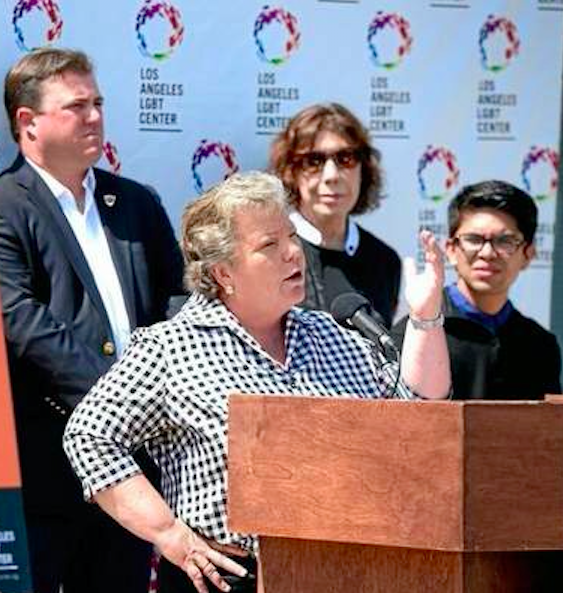 At the Los Angeles LGBT Center, the world’s largest provider of programs and services for LGBTQ people, every step has required a hard-fought effort. 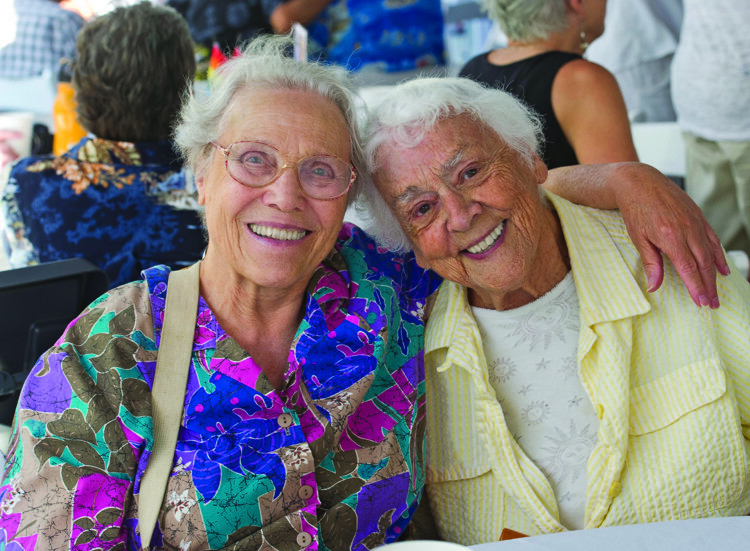 The Center has been fighting discrimination against the LGBT community for over half a century, and while the community has made enormous strides towards equality over the last 50 years, it still faces many challenges, including homelessness, sexual orientation-based discrimination, and the stigma of HIV. According to the Center, a staggering 40 percent of youth living on the streets of Hollywood identify as LGBTQ, and nearly a quarter of the LGBTQ seniors in Los Angeles live on less than $1,000 a month. Safe spaces are incredibly important within the LGBTQ community. Photo by Los Angeles LGBT Center. With support from the Community Progress Makers Fund, the Center will continue to address barriers to affordable housing and steady employment, including keeping pace with an evolving job market. In the spring, the Center is launching a new culinary arts program that will offer homeless LGBTQ youth and seniors training in culinary skills to foster employment opportunities in the restaurant and food service industries. The Center CEO Lorri L. Jean said many of their clients come to the organization in desperation, with nowhere else to turn​. —Lorri L. Jean, CEO, Los Angeles LGBT Center. 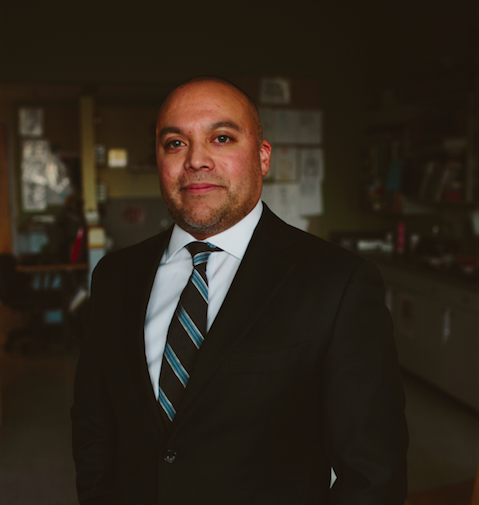 Whether helping clients build confidence or skills, these Community Progress Makers have changed countless lives, but they are also working to challenge a system that wasn’t built for people from diverse or disenfranchised backgrounds to thrive in. In the long run, their work will help families rise out of poverty, and help communities, businesses, and cities thrive. This content was written by the CityLab marketing team. It does not necessarily reflect the views of the CityLab editorial staff. See our Advertising Guidelines, or email advertise@citylab.com to learn more.